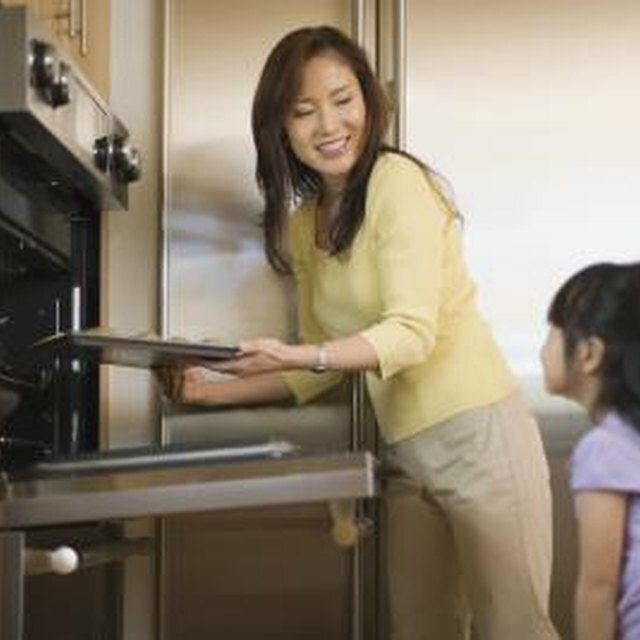 Replacement of a heating element--also known as the bake element--is a necessary maintenance step as your oven ages. With the financial burdens you may be experiencing, a large repair bill may be at the very end of your "what do I do" list. Thankfully replacing the heating element in a Hotpoint oven is a simple task that will save you much further hassle. Turn off the circuit breaker to the oven's outlet. Remove the baking racks from the oven, and set them off to the side. Remove any brackets holding the heating element in place if necessary. Unscrew the rear two screws which hold the element in place. Set the screws off to the side with the baking racks and any other brackets you have removed. Gently tug on the heating element until the element pulls loose of it's plug. Shine your flashlight on the plug, and observe the two wires connected to the element once it has been pulled free. Using the proper screwdriver, remove the screws holding the wires, and finish removing the heating element from the oven completely. Place the new heating element into the oven, screw in the wires in the back and gently push the wires back into the socket as you slowly slide the element into the socket tightly. Reinstall any remaining brackets with their proper screws and restore power to the oven at the breaker. Never grab a heating element with your hands until thoroughly cooled. If in doubt, wear a pair of insulated gloves while handling the element. Never work on a heating element without turning off the breaker. Unplug the oven also to prevent electric shock should someone inadvertently flip the breaker switch. Always use a heating element rated for the make and model of your oven to prevent damaging the appliance.